There have now been 4 successful patient information days held in the UK. 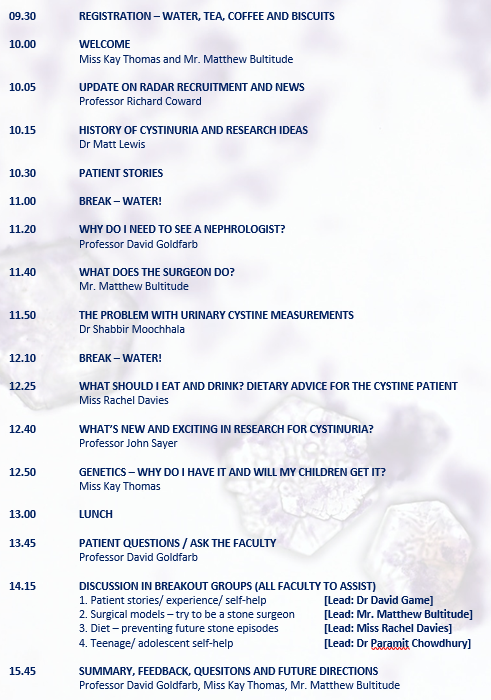 These are designed for patients and families to learn more about cystinuria and offer the opportunity to meet and network with other people with the condition. The days are free and lunch/ refreshments are provided. Registration has now closed for this event. If you wish to attend please contact us with your email address via the Contact page as we may get people pulling out.